Rooibos tea may be more obscure than other popular teas, but that doesn’t mean it has to be hard to prepare. 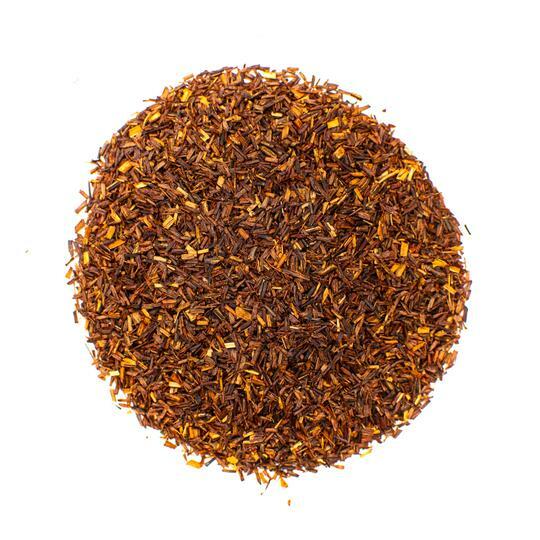 Rooibos tea, or red bush tea, is a delicious South African tea that offers unique flavors depending on how it’s produced. 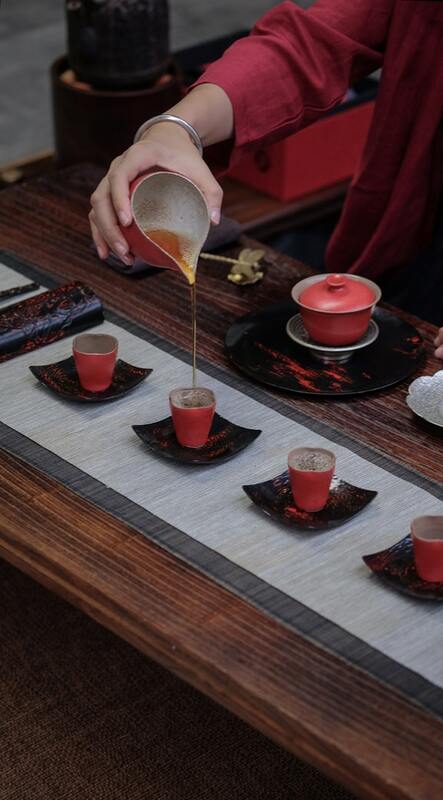 Oxidized rooibos leaves offer a fruity, floral flavor with unoxidized varieties are earthy and strong. Discover these new flavors by preparing a cup of rooibos tea. It’s a refreshing beverage with calming properties that can help you end the day on a good note. With these handy tips, you’ll brew the perfect cup of rooibos tea every time. 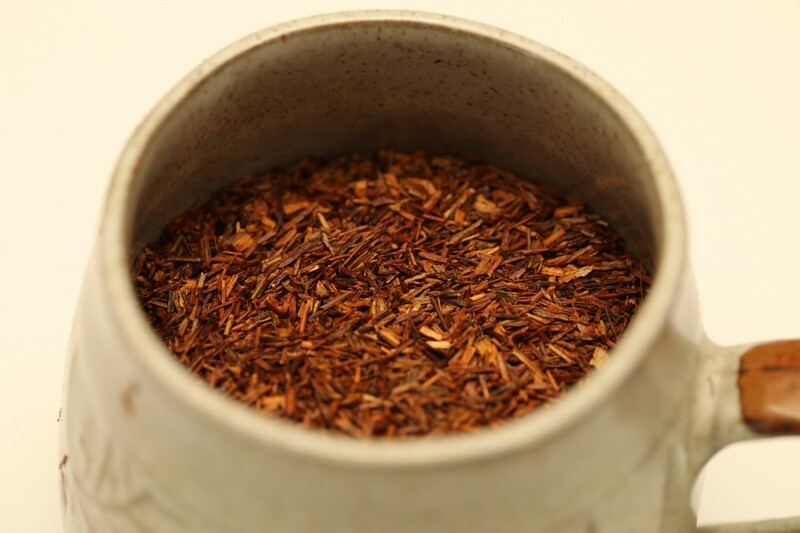 Rooibos tea—pronounced ROY-boss—is derived from the leaves of the red bush plant known as Aspalathus linearis. 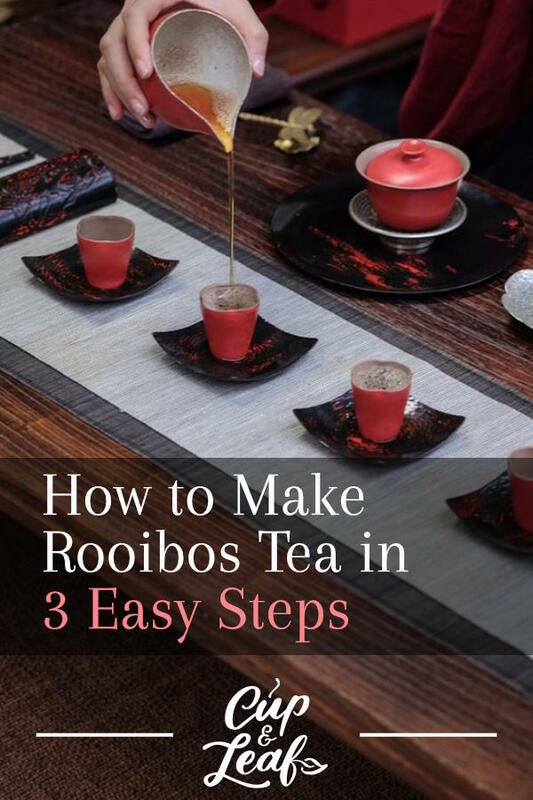 Since rooibos is not made using the leaves of the Camellia sinensis plant, it is not a true tea like green tea, black tea, white tea, pu-erh tea, and oolong tea. Instead, it is an herbal tea or an herbal tisane. Rooibos tea is also known as 'red bush tea' and is cultivated exclusively in South Africa. The red bush plant grows in the Cederberg Mountains, located just under 200 miles north of Cape Town. Here the red bush plant thrives in acidic sandy soils and a Mediterranean climate. Rooibos plants are hardy and often subjected to drought conditions. The plants are rarely irrigated with water due to their hardy nature. Plants are typically harvested for four to seven years before the crops are rotated to restore nutrients. The majority of farmers rotate the crops to oats for one to three years before replanting rooibos plants. Rooibos leaves are harvested once per year during summertime in Africa—typically January to March. The plants are cut using large sickles and grouped into bundles known as 'gerwe' in Afrikaans. The plants are transported to a processing facility where the stalks are cut into even lengths and withered. The leaves are then either fermented or dried depending on the type of rooibos being produced. There are two types of rooibos tea: red rooibos and green rooibos. Red rooibos is the classic and traditional variety of this tea. It is characterized by a deep red hue when brewed. After the rooibos tea leaves are harvested they are oxidized to produce the rich color. 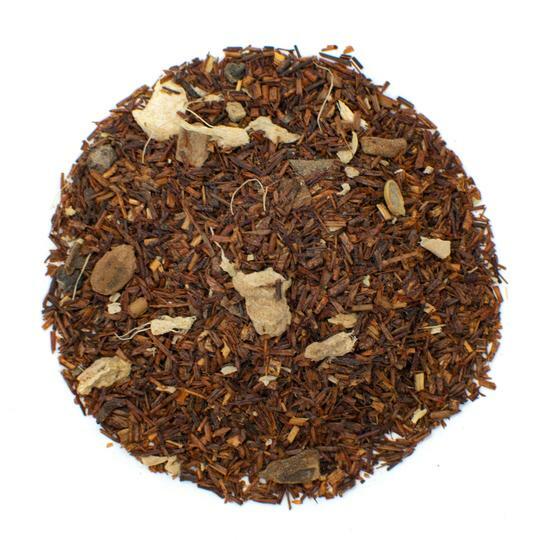 Red rooibos tea is sweet and tastes similar to hibiscus tea. Rooibos green tea is not oxidized and is simply dried in sunlight after harvest. This type of rooibos is less common and more expensive than red rooibos tea. Green rooibos tea offers an earthy flavor that is more similar to yerba mate. The different flavors of red and green rooibos tea can be attributed to the oxidation process. Rooibos tea contains just 2 to 4 calories per cup, so you can sip brewed rooibos tea without packing on the pounds. Limit additives such as sugar, honey, and milk to maintain the low calories of this drink. Rooibos tea has a natural calming effect that can limit stress eating by reducing the stress hormone cortisol. 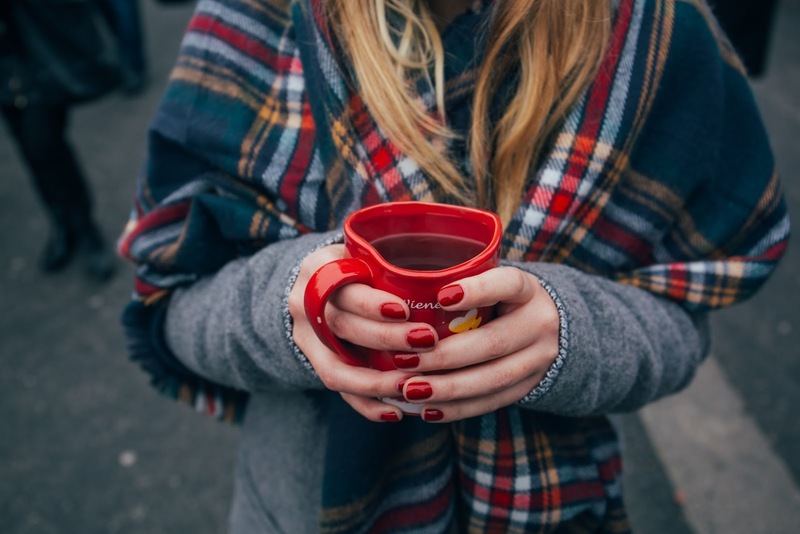 Brewing rooibos tea in between meals can help halt hunger and prevent snacking that can ruin your diet. Rooibos tea is naturally caffeine-free. It is commonly used as a substitute for black tea and green tea as the base tea in flavored teas. Since it doesn't contain any caffeine, you can drink rooibos tea or flavored tea varieties before bed without any negative effects. Our Rooibos Masala Chai blends spices like cinnamon and ginger with the sweet taste of red rooibos for an inspiring bedtime tea that won't keep you up at night. Rooibos tea contains a flavonoid known as chrysoeriol, which is a bronchodilator that may open up and relax airways. This flavonoid may effectively lower high blood pressure and improve circulation. Drinking rooibos tea daily may prevent plaque buildup, prevent heart disease, and support overall cardiovascular health. The main ingredient in rooibos tea is a glucoside called aspalathin. Aspalathin boasts antioxidant properties and can regulate hormones. This polyphenol can also help to prevent vascular inflammation, improving blood flow and minimizing the risk of heart attack or blood clots. Rooibos tea contains nutrients such as quercetin that are anti-spasmodic and alleviate stomach pains. These nutrients relax the digestive system and prevent cramps and bloating. Rooibos also contains tannins that may reduce symptoms of diarrhea. Rooibos is also packed with nutrients that support the immune system and prevent disease that can affect digestive health. To brew rooibos tea, use filtered water or spring water. Never use tap water since it has chemicals that can alter the flavor profile of tea. Always brew tea with hot water and never cold water. Cold water doesn't infuse tea well and results in a weak brew. If you want to make iced tea, brew with hot water and let the tea cool to room temperature before storing in the refrigerator or serving immediately with ice. Prepare rooibos tea using rapidly boiling water with a water temperature between 200 and 212 F. Use a temperature controlled tea kettle, French press, or simply bring the water to a rapid boil in a large stovetop pan. Add the loose leaf tea or tea bags to a tea cup and pour the hot water on top. When using loose leaf tea, aim for one teaspoon for every eight ounces of water. South African red tea is steeped longer than most normal teas. Tea experts state that rooibos infuses more healthy compounds and flavor the longer it is brewed. Let tea steep for five to minutes, tasting every 30 seconds after the first five minutes. 1. Start by bringing water to a boil in a large saucepan. 2. Add one teaspoon of loose leaf tea for every eight ounces of water. 3. Turn the stove to medium low heat and simmer for 30 minutes. 4. Strain the tea leaves into a mug using a fine mesh strainer. 5. Serve with a splash of milk and enjoy! 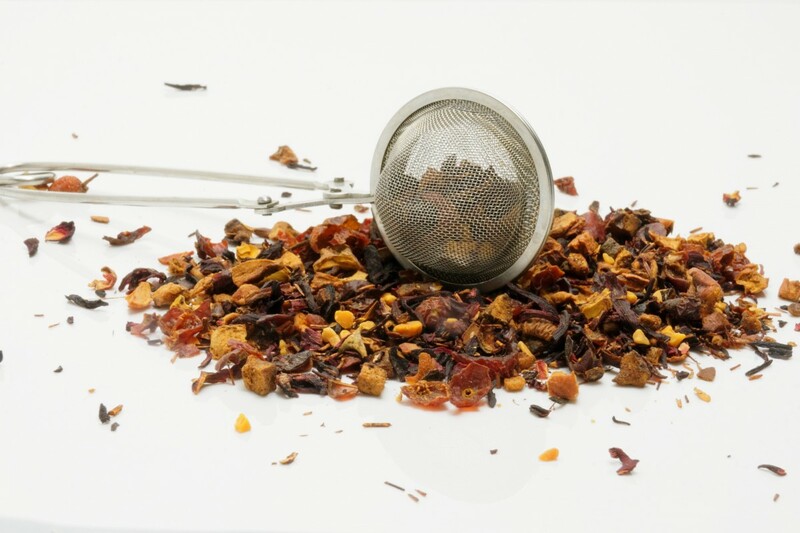 Rooibos tea is a delightful beverage that can be fruity and floral or earthy and rich depending on the varietal. The tea boasts several health benefits including supporting weight loss and improving heart health. This caffeine-free tea offers natural calming effects that can help you unwind. Add pure rooibos tea to your list and discover new flavors and ways to enjoy tea. 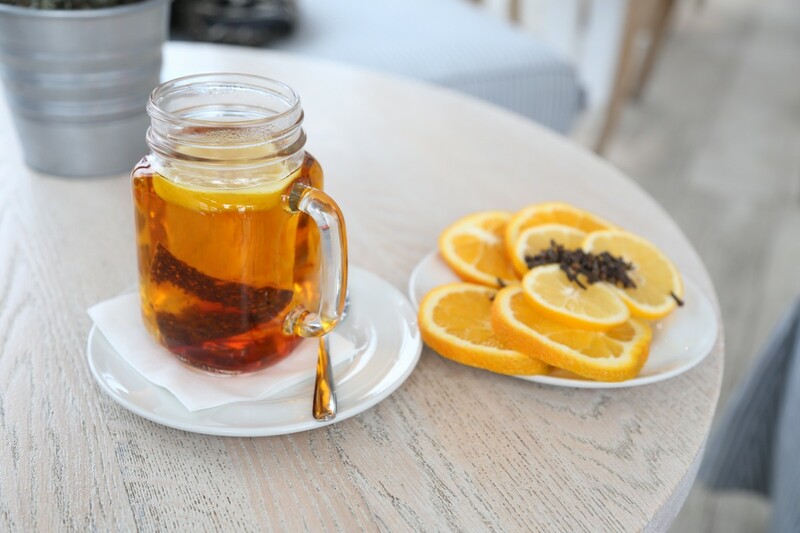 Sip it hot or cool down with rooibos ice tea and enjoy a taste of South African flavor. 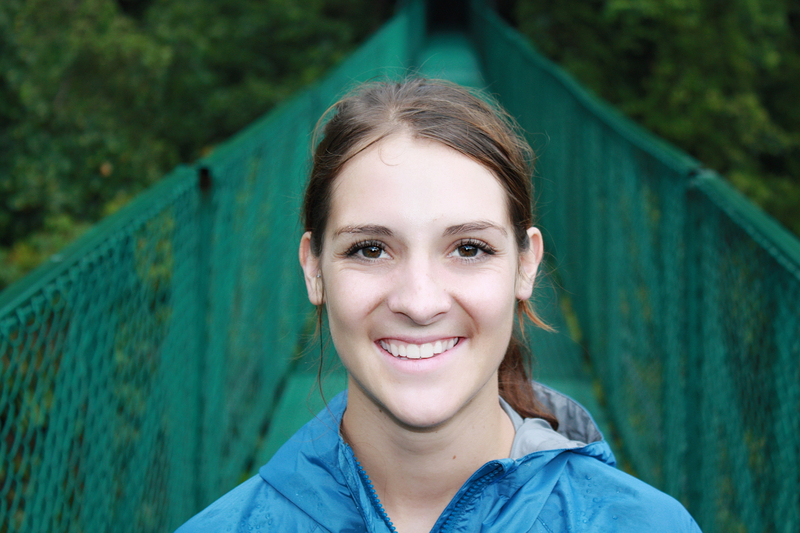 You can brew it in a to-go mug and hit the trail without missing a beat or settle into a cozy chair at home with your favorite mug. Making a delicious cup of tea boils down to setting the right water temperature, using a proper amount of tea, and steeping for the suggested time period. With this handy guide, you'll brew the perfect cup of rooibos tea every time. Brew rooibos tea using boiling water at temperatures between 200 and 212 F and steep for 5 to 10 minutes for the best flavor.